LIAT CEO Julie Reifer-Jones (second right) accepts a donation from Trustee of FirstCaribbean International Comtrust Foundation Limited, Lynda Goodridge, as Debra King, CIBC FirstCaribbean Director of Corporate and Communications (left) and Egbert Riley, LIAT Head of Sales and Marketing, look on at a press briefing at the Barbados headquarters this afternoon. 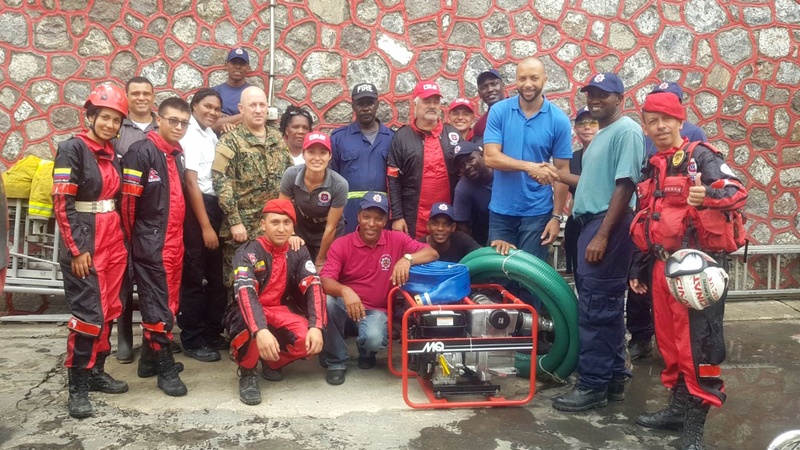 Having already donated USD$450,000 to Caribbean territories affected by Hurricane Irma, CIBC FirstCaribbean has extended its financial support by an additional USD$100,000 for relief efforts in Dominica in the wake of Hurricane Maria. This as LIAT’s CEO, Julie Reifer-Jones said a preliminary assessment of the financial impact of this hurricane season to the air carrier’s operations is already in the region of US$4 – 6 million. She made the comments during a press briefing this afternoon at CIBC FirstCaribbean's Barbados headquarters. 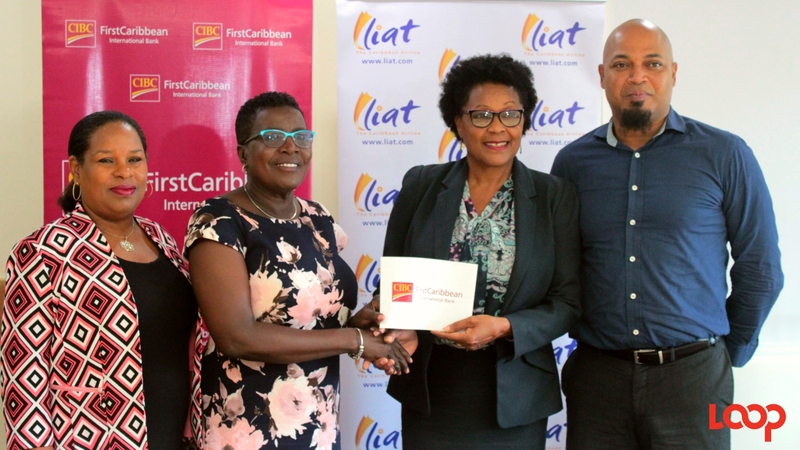 CIBC FirstCaribbean Director of Corporate and Communications, Debra King, explained that the partnership with LIAT will see the FirstCaribbean International Comtrust Foundation help defray the cost of relief flights out of Dominica to allow citizens to temporarily relocate to other Caribbean countries until conditions in Dominica improve. 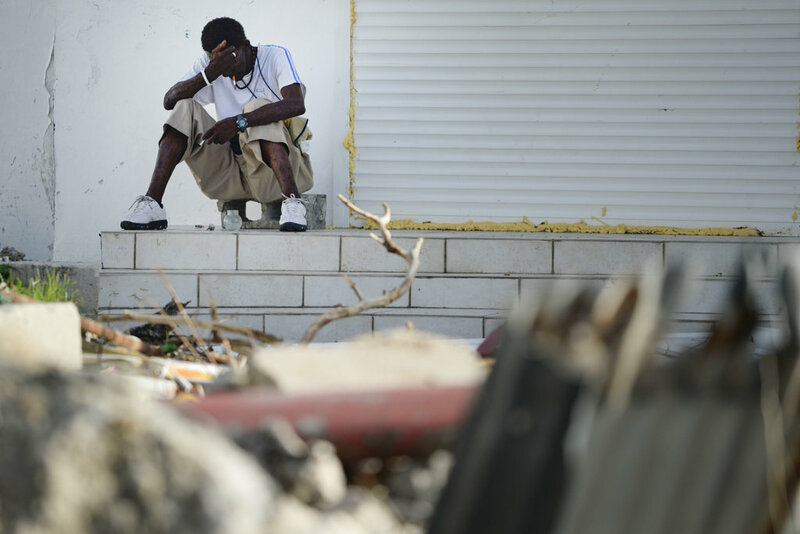 “This has been a particularly difficult period for us in the Caribbean. The last month has been distressing for every Caribbean person living in the region and further afield with the passage of Hurricanes Irma and Maria," said King. Although focusing its efforts with LIAT on Dominica, King noted that CIBC FirstCaribbean operations in a number of territories have been affected namely, the Turks & Caicos Islands, Anguilla, British Virgin Islands, St Kitts, Antigua and Dominica and the bank has been doing its part to support both employees and clients in the affected countries. Meanwhile, Reifer-Jones noted that hurricane preparation is part and parcel of LIAT’s operational plans as a regional carrier but that this season has stood out for the frequency and intensity of severe weather systems. She highlighted St Maarten; Tortola, BVI; San Juan, Puerto Rico and Dominica as four markets which have been severely impacted during the 2017 Atlantic Hurricane season. She indicated that LIAT has so far transported some 1,200 passengers on 54 relief flights across its network, as well as 11,000 pounds of cargo. “We see our role as very important because we also help to facilitate the relief organisations CDEMA and various national relief organisations in Antigua and Dominica to help evacuate persons with special needs who might need to come out on an urgent basis,” she explained. 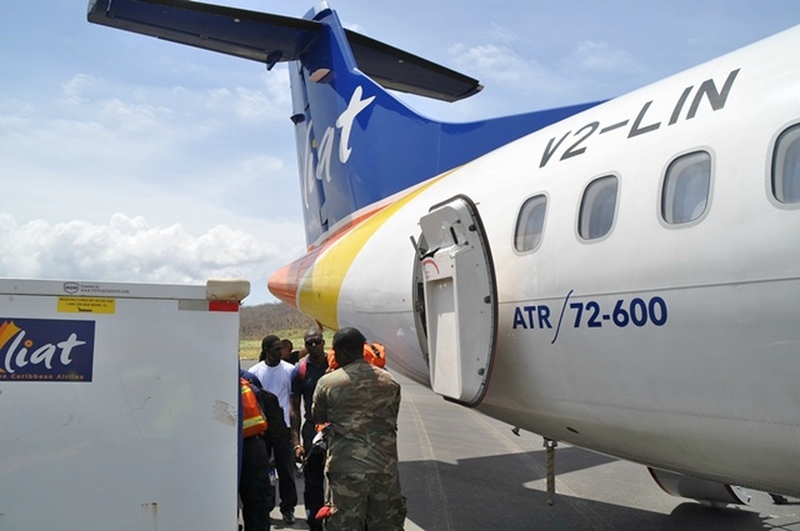 Reifer-Jones indicated that most of LIAT's relief flights so far have been unfunded and highlighted the need for the regional carrier to itself be the beneficiary of relief funding, given the essential role it plays in such circumstances. “Frankly, the discussion about relief efforts going forward should include relief for LIAT,” she contended.